“I hope for them that the rums are good,” muttered Cyril darkly, as a bunch of us exchanged comments on the newest DDL offerings. We should have been happy, but we weren’t, not really. Few of us rum watchers were. Back in December 2015, I read the tea leaves spectacularly wrong and suggested that DDL would not be issuing single-still Velier-style full proofs any time soon. A month later they did: an Enmore 1993, Versailles 2002 and PM 1999. I’m actually kinda surprised nobody ragged my tail about my utter inability to forecast what might even have been a foregone conclusion after the age of Velier’s Demeraras abruptly ended. So yeah, I munching a big crow sandwich right now. But as time went on, it became clear that there were several issues with the three bottlings named above, and all of them pointed to what I maintain are deficiencies in DDL’s strategic (or marketing) arm. They misread the public sentiment and displayed no real current knowledge of what drives purchases of upscale “super-premium” rums. They came at the wrong time, at the wrong price, with too little information and with the wrong fanfare. There was absolutely no forewarning at all (see footnote 1). The picture and a brief notation in Italian went up on the Velier website (it has now disappeared) and that was it. And not even in time to make the Christmas season, where traditionally liquor sales peak. As of this writing (January 20th) they are still not represented on El Dorado’s own website (although the deceased Mr. Robinson remains as a valued member of the team). DDL’s Facebook page has nothing, and questions I raised in private messages to them went unanswered. Wow. Who on earth is in charge of getting the message out over there? Where were these to be distributed/sold? How many bottles were issued? So essentially, until the Danes at Romhatten got their hands on a set and started writing about them (the PM received a 96 rating), few people knew where they could be had. Most online stores still don’t carry them. It was later established they would not be sold in North America. And when it was understood that they averaged out at €290 a bottle in Denmark and Germany, whereas most independent bottlings of the same ages cost between a €100-200 on the primary market, the grumbles got louder. 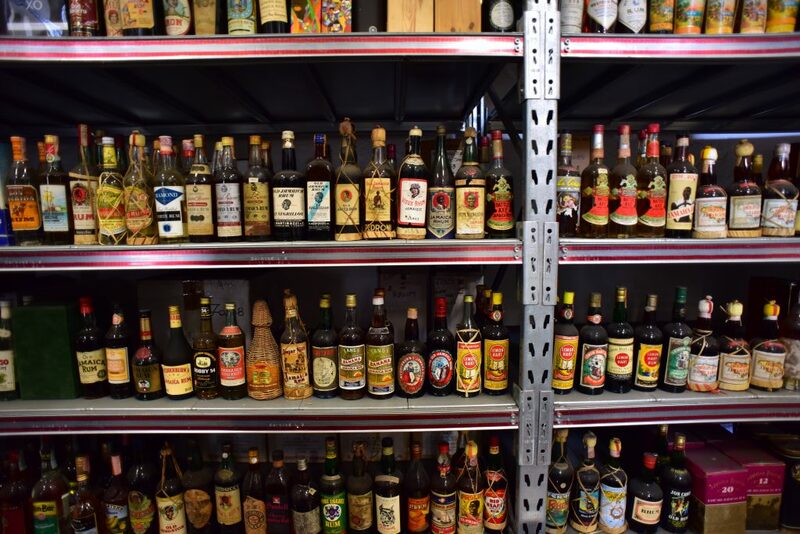 Leaving out production costs and taxes, two things drive a bottle’s price way up – age (to some extent, though I have paid an arm and a leg for a seven year old from 1980), and more than that, rarity. The two together create monsters like the Appleton 50 year old ($4500/bottle) for example. One of the reasons a Velier Skeldon 1978 pushes prices past the thousand euro mark on the secondary market, is because there are so few out there. However, DDL has not marketed the rums with indie-bottler-level pricing to titillate the market and grab initial market share and establish their own reputation for great full proof rums, separate from that of Velier; they gave no hint of how many bottles were issued; they advertised not at all, and to add insult to injury, are staying mum on the fora where they can engage their fans and the general public. All of this suggests that we are being asked to pay very high prices for an unproven product of uncertain commonality. If a hundred bottles had been issued that would be one thing….ten thousand would be quite another matter. Consider this key point also – Luca was the recipient of a decade of goodwill for his full proof lines, aided and abetted by issuing rums that were very very good. The man had an enviable track record, made almost no dogs, and had no dishonour or disrepute attached to his product (like DDL got when hydrometer tests began to show the inclusion of unreported sugar to their standard aged rums), and as a result, people were willing to buy his products blind, almost at any price, knowing they would get something that had a good chance of being an excellent drink and a worthwhile investment. And to his credit, Luca provided all the info up front, and never priced his rums to the point where this kind of essay became necessary. DDL maybe felt that “if we issue it they will come.” Given the explosion of interest in the new line, they were certainly correct there, and they themselves have many decades of goodwill of their own to tap into, deriving from the El Dorado line of rums (if not the Single Barrel expressions). So I’m not saying DDL makes bad rums (quite the opposite in fact). And believe me, I’m not pissy because I read the future wrong. In fact, I have already bitten the bullet, put my money where my mouth is, and bought all three of these releases at those crazy prices. I look forward — keenly — to reviewing them. What I am is annoyed with the stumbles of a company for which I have great regard, and which should know better. You don’t issue expensive rums after the holiday season, when purses are scrawny and credit card bills are due. The pricing and the lack of information are sure to piss off more serious rum lovers (and writers) who make purchasing decisions carefully. One spends twenty bucks on a whim…not three hundred. And think about this also: when bloggers to whose opinions people attend say they will not buy these rums because they are too pricey or difficult to get (as several have already told me), their audience gets turned off too, and sales will inevitably diminish. If this happens and DDL believes there’s no market for full proofs, well, then, what do you think they will do? Cancel the entire line, maybe? So yeah, I’m a little miffed with DDL’s new rums, much as I applaud the fact that they’re issued at all. Only time will tell whether the price they’ve set is justified. In the meantime, they’d better start providing us consumers with more information, not less. And those rums had better be damned good. 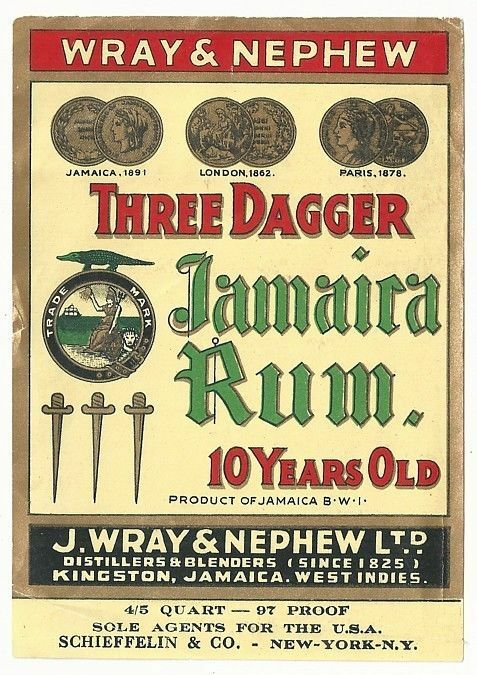 Inadvertently, I’m sure, the Guyanese daily Stabroek News actually mentioned these three rums…back in November 4th, 2015. It is clearly stated in that article that they would only be sold in Europe. In 2015 it became widely known that DDL was severing its relationship with Velier, and Luca Gargano would no longer have access to their warehouses. With that simple statement, the Age of Velier’s Demerara Rums appeared to have come to an end. In October of that same year, I reviewed the three single barrel expressions DDL issued back in 2007, and the notes in that write up were so voluminous that I split them apart to form the basis of this essay. 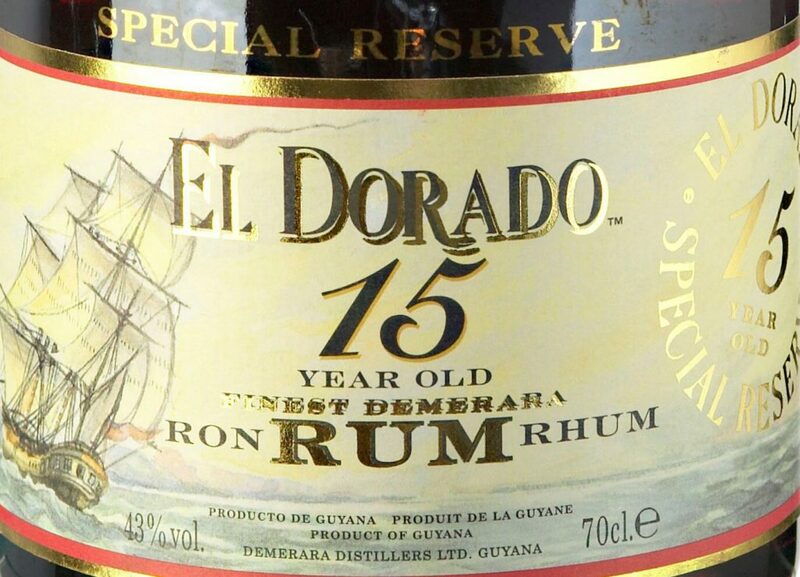 My thinking went like this: when you think of all the advantages DDL enjoys in the international marketplace – brand visibility and recognition, market penetration, and the great stills like PM and EHP, to name just three – you begin to realize just how curious those three rums actually are. And how much they say about the ethos and thrust of the company’s rum strategy (or lack thereof). 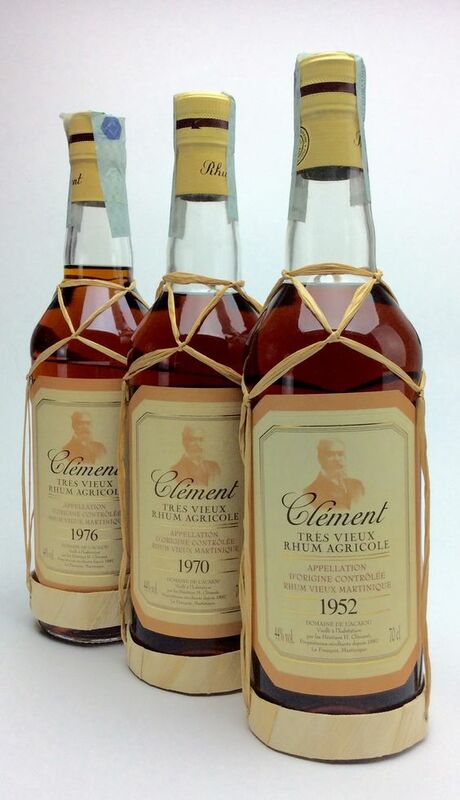 Velier showed that there was a real market for such full proof, limited edition rums. You’d think that with the Scots and the Italians’ decades-long love affair with issuing PMs and Enmores and what have you, that this largely untapped market would be aggressively exploited by the company supplying the actual rum, but no, DDL has let Moon Imports, Samaroli, Velier, Rum Nation, Secret Treasures, Silver Seal, Duncan Taylor, and many others, garner the accolades and the money while they concentrate on the core El Dorado range. 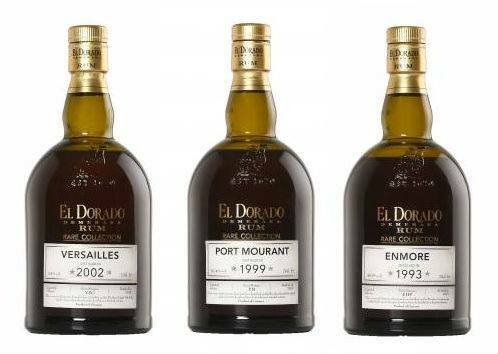 The ICBU, EHP and PM expressions remain the only still-specific rums DDL have ever created since the el Dorado line burst on the scene in 1992. DDL, as you would recall, have a number of pot and columnar stills – some of wood, some very old, all producing interesting variations of taste; the El Dorado line blends various proportions of output from these stills. Craft bottlers who have bought barrels made from the stills have long issued limited expressions like PM, EHP, ICBU, LBI, Blairmont, Versailles, Skeldon (Velier remains the acknowledged champion in this regard), and the speed at which they sell and the high prices they command on the secondary market demonstrates the enormous cachet they have. Yet DDL has, as of this writing (December 2015), refused to go further with developing this gaping omission in its lineup. They told me a few months ago that I should wait for great things coming out later in 2015, and then issued the “new” 15 year old rums with various finishes. 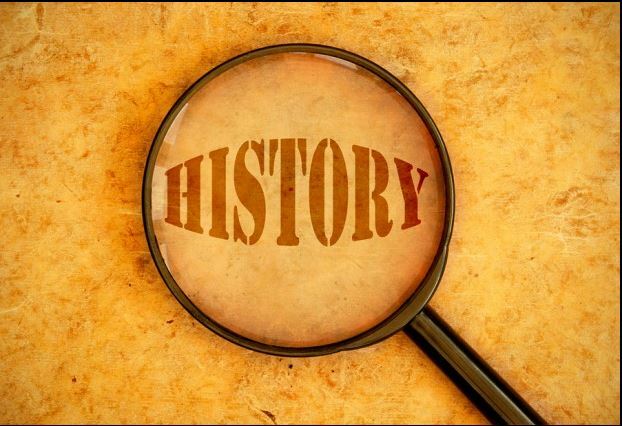 An evolutionary stopgap, I thought (then and now) — not a radical departure, not a revolution, not great, and not particularly new. They still don’t have millesimes or annual releases or special stills’ rums of any consequence. The three amigos referenced above are also not marketed worth a damn to exhibit their singular nature, or to take advantage of their remarkable provenance or their accessible proof point. They are priced quite high for rums that don’t have an age statement – together, they cost me north of US$300, and not many people are going to buy such relatively pricey rums unless they are really into the subculture. So here are some initial problems DDL created for themselves: the age, the year, the outturn, none of this is on the label. Why is the year of distillation and age and bottle count not shouted from the rooftops? Age confers cachet in any spirit; single stills’, single years’ output even more so. What’s the holdup with DDL providing such elementary information? 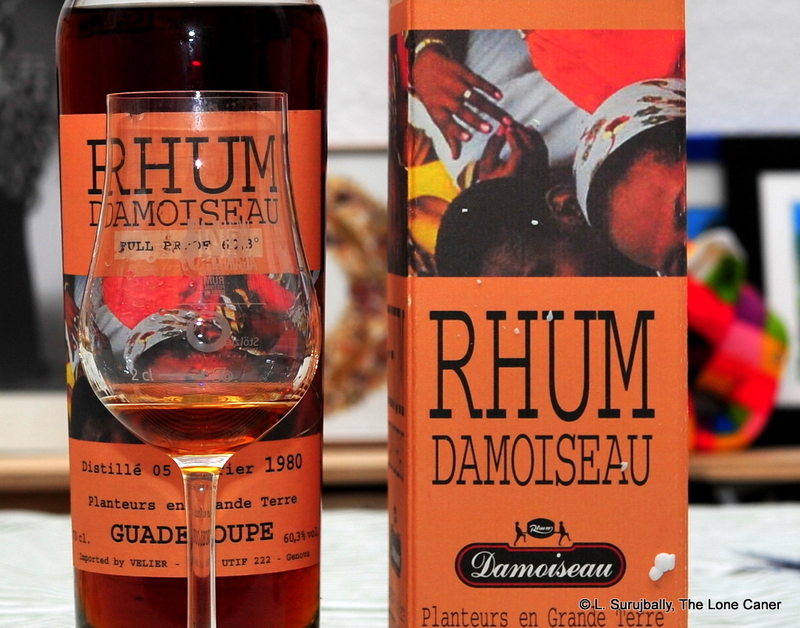 Actually, what’s the holdup in creating an entire line of such remarkable rums? Independent bottlers are the leaders in this field, and there’s enormous interest for these expressions. That single post of mine about the three rums clocked a reach of 400 on FB, and 20 likes on the site, in less than an hour (trust me, that’s fast and furious going for a niche audience such as we writers have). 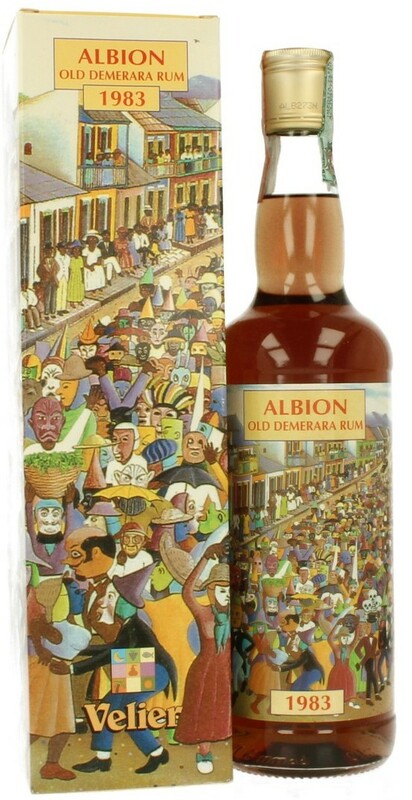 So knowing that limited release rums sell fast to the cognoscenti, knowing the power of social media, and using my experience as a sort of quasi baseline, I ask again…what’s stopping DDL? 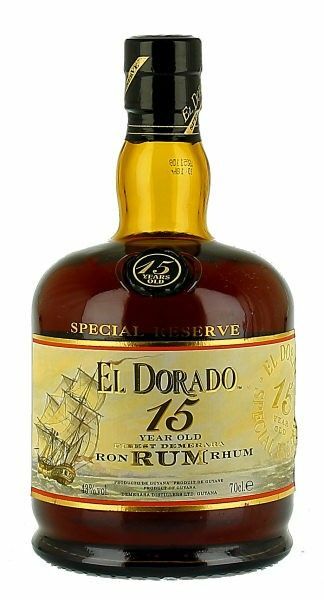 The very specificity of these rums may be their undoing in the wider rum world, because it is connoisseurs and avid fans and rabid collectors who are most likely to buy them, appreciate them, and understand the divergent/unusual taste profiles, which are quite different from the more commonly available (and best-selling) El Dorados like the 5, 8, 12, 15, 21 and 25 year old. To illustrate further, how many casual rum drinkers even know there are multiple stills at Diamond, and can can name more than the PM or EHP? One could taste the three single barrel rums, and immediately realize that they certainly aren’t standard sippers or the usual cocktail fodder — which is something of double edged sword for rum makers, who like to be different….but not too different. Too, it’s possible that seeing the niche interest these expressions developed over the years which Velier then expanded into a worldwide phenomenon, that the boys on the Top Floor were scared dickless and shut that sucker down fast, lest it bite into profits of more dependable rums….rather than seeing it as an opportunity. I have a feeling relative margins of various products were and are involved here. Then there’s hard consumer cash: such DDL-made single barrel expressions are by their very nature more expensive and get more so as we climb the age ladder, but there’s another reason they cost so much – DDL never made more, or issued them in great quantity (it’s unknown what the year of the batch is, and I’m not even sure how many were made, let alone whether DDL ever issued more beyond that 2007 year, or ever will again). Another reason to scratch my head wondering what they’re thinking. Are they ignoring the signs of rums’ expanding popularity and the increasing sophistication of the drinking classes, so evident all around them? Or are they simply oblivious? Now I know something about how products in a manufacturing environment are priced. There’s all the input costs of raw materials, plus labour charges, storage costs, prep costs and marketing and distribution and shipping (using various bases of allocation for overheads), to come up with a unit production cost (i.e., what it cost to make each individual bottle). Depending on the sophistication of the accounting / costing system and the methodology employed, the profit margin is fixed and the rum is released to the market. 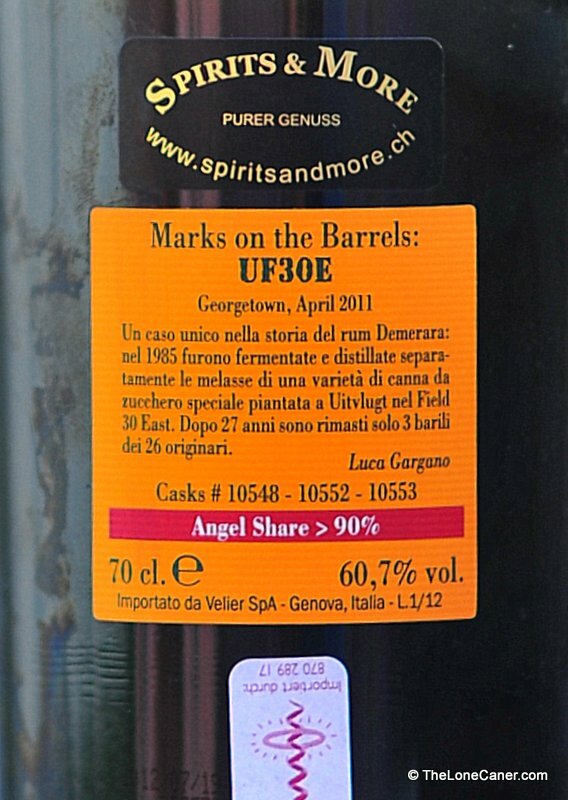 The brokers, intermediaries, governments, bulk buyers and stores will add fees and markups and taxes to the base selling price, and the result is the €80 to €100 (give or take) which the consumer pays for a middle aged, single barrel expression with 1000 bottles or so issued by an independent bottler. So perhaps this is a lot easier for an independent operation which buys rums from brokers, than it is for a vertically integrated multinational like DDL which has canefields, sugar factories, distillation apparatus, a huge labour force and a supply chain network that is large and far-flung. 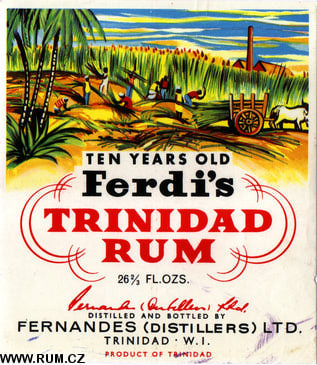 Now, that means the entire revenue stream from such a specific, limited rum is likely to be €100,000 or less…does anyone believe that it “only” costs that amount to shepherd a rum for ten years through all its stages for a company that is as vertically integrated from cane to cork, as DDL? Not a chance. Smaller bottlers have it easier since they buy one small set of already-aged barrels at a time, low infrastructure costs, and have a skeleton staff; and this is both their advantage and disadvantage because they lose economies of scale while having a limited output in a barrel that may not succeed after ageing (and lose a lot to the angels in the process), while at the same time being able to pick exactly the barrels they want. Still, more subjective matters do start to come into play. For new products without a purchasing history behind them and issued in limited quantities, it’s a risk, a big one, to invest a decade or more in ageing, take the hit from the angels and losses on barrels that don’t work after all that…then bottle perhaps 15% of the original volume, price high and hope sales will follow. Distributors and shops will also not want to give shelf space or prominence to stuff they are unsure will move in volume. Also, new products can cut into the sales of the old dependables upon which all cash flow is based (and which may subsidize loss leaders like the single barrels, which can be uneconomical at first). But it is my contention that DDL doesn’t need to do this: the path has already been blazed by the independent bottlers; and DDL / El Dorado (and the famed stills) is one of the more recognized, widely sold brands in the rum universe. Velier has shown the model can succeed. 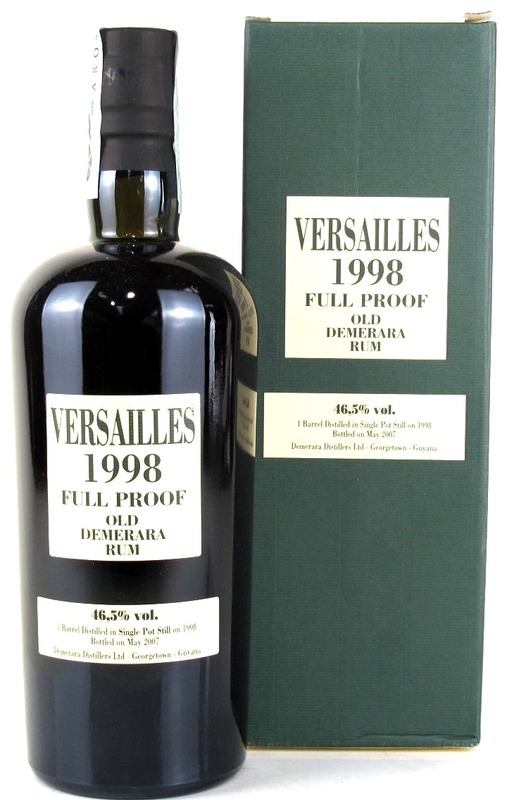 We know for a fact that a ten year old Demerara rum from a single still (at any strength between 45-65%) can reasonably sell for €100 / US$120 and maybe even more. And the prices escalate with both age and exclusivity, using existing distribution channels and marketing strategies already in place. DDL has spent decades building up its brand and distribution, so these are sunk costs that work to the advantage of selling more, rather than less, of the single-still expressions, even if issued 40% and not cask strength. What’s on DDL’s strategic mind? What this leaves us with is a number (depressing) conjectures about DDL’s short and medium term strategy. 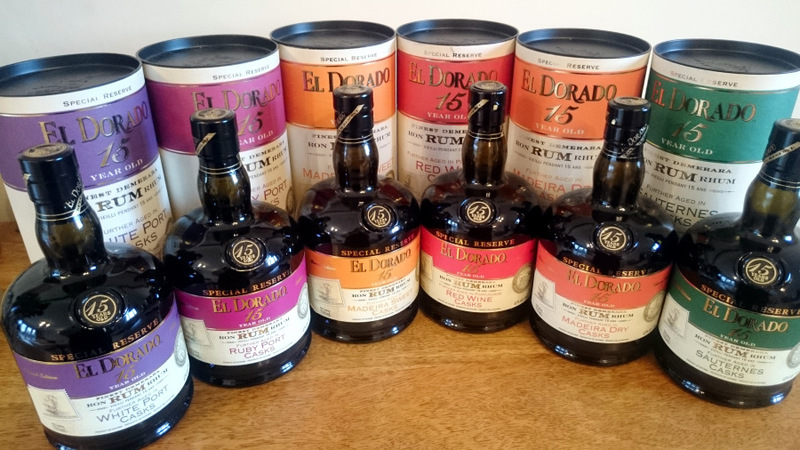 Experiments with different cask finishes will gather some steam, concentrating, in my opinion, on the El Dorados 12, 15 and 21 years old (I doubt the 25 year old will be tampered with unless it is to make it stronger). Yes, spiced rums will continue, maybe even be expanded. They sell briskly, much to the annoyance of many purists. The single barrel, still-specific rums may be re-started, but most of the wooden-still outputs will continue to be favoured for producing the 8, 12, 15, 21 and 25 year old blends, and not for anything more specialized. DDL will make no sudden moves into new (rum) product lines. The company simply does not seem to be structured to allow experimental development. 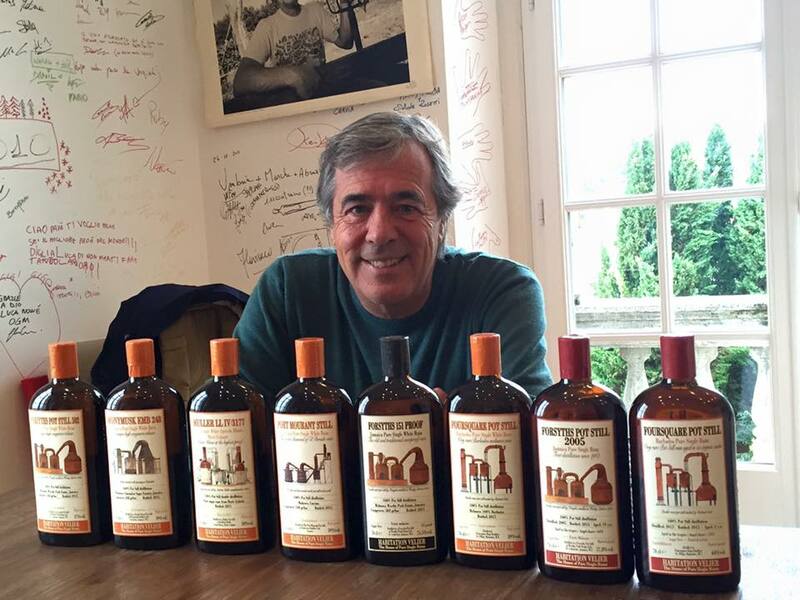 That’s why agile little companies like Compagnie des Indies can survive and even make money….using DDL’s rums. In other words, we can expect the status quo to continue for quite some time. They shut Velier out, but gave us nothing to replace it. Of course, this is all me being pissy. I know some of the guys over there, spent many years in Guyana, love the place, like their rums. It annoys me no end that they almost never respond to emails, provide little beyond marketing materials when they do, have on their website a man gone to the rumshop in the sky many moons ago, and just continue doing the same old thing year after year: as I said, the new finishes on the 15 year old do not really impress me, though I do want to try them (I’m a reviewer after all). 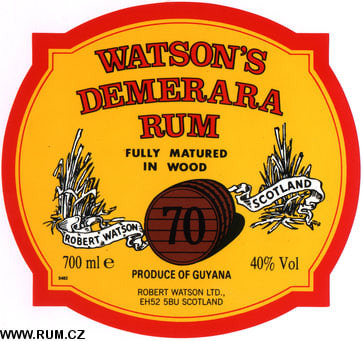 In about five years, as rum penetrates a critical mass of drinkers who demand unadulterated, cask strength, limited edition, well made products, DDL will likely have revisit the decision to divert its stock to more craft-based offerings and reduce the blends (either that or increase output across the board, and with sugar’s woes in Guyana, that might be problematic…or another opportunity) . Whether they have sufficient aged rums available at that point to both satisfy the blended-aged market, and something more exclusive, only they can know. But sooner or later, they will have to start. The USA cannot keep on subsidizing Bacardi and their ilk forever. Too many US citizens are already squawking all over social media about how the best rums are never to be found in their location and when they are, the price differential is too great between those and the subsidized rums. Once they start agitating for reform of subsidies and tax breaks, other countries take the matter to the WTO, and fairer tax regimens and tariffs are passed – and sooner or later this will happen – then craft rums will become more competitive, and the US market will explode. DDL had better be ready to increase its market share there when this happens. If all they have is the same old menu and live off past glories, then they will fall behind other, nimbler, smarter companies with a more diversified (or focussed) portfolio. The three single barrel expressions of DDL’s impressive stable point to more serious structural deficiencies of their medium term planning with respect to rums. They are too weak, too few, and marketed too poorly in a time of an increasingly educated, knowledgeable drinking class. I’m not saying independent bottlers’ craft expressions are the wave of the future – but I do contend that they will get a larger and larger slice of the market in the years to come, and it seems that DDL is poorly positioned to take advantage of this. If I was on their team, the first thing I’d do is stop selling bulk rum from the wooden stills to anyone, hoard it all, and start issuing high proof, low volume, carefully selected, suitably aged rums in very limited, exclusive markets. Maybe. It will probably be neither so easy or quite so quick. A small outfit dealing in a few barrels at a time, sure. A monolith like DDL? One can only wonder. And, in the case of me and my rum-chum friends, hope a little. This article was overtaken by events, of course. In January 2016, DDL announced that they would indeed issue three cask-strength expressions, an Enmore, a PM and a Versailles. No word on issue volumes. The youngest would be about ten years old and for the moment sold only in Europe. So the timing of my essay, as well as my conclusions, really sucked…too bad. Still, I’d rather be wrong and get some good rums to buy, rather and be right and get none. I hope this is a forerunner of many aged rums to come from DDL, and that they live up to the high standard Luca set. 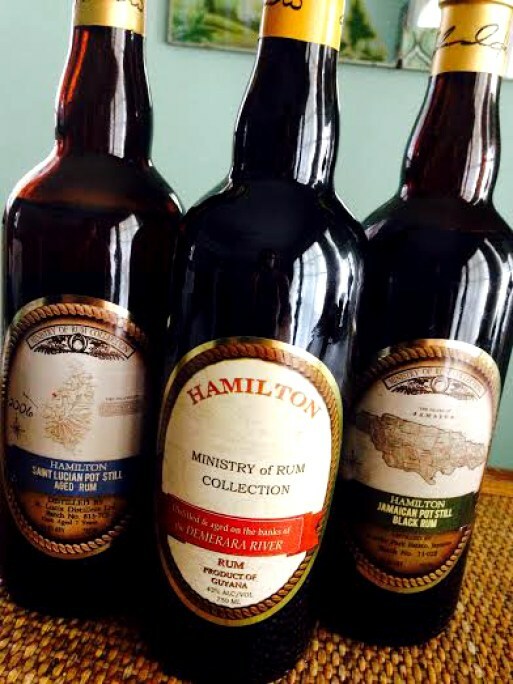 “I don’t read a lot of blogs because, well, most of them are written by people who aren’t qualified to piss in the ocean,” remarked Ed Hamilton on his blog The Ministry of Rum on July 7th 2015. To say I was surprised at such a blanket indictment of the majority of the rum blogging community would be an understatement. He’s not the only one to make such a statement in the recent past: when I wrote a five part series on how to start reviewing rums earlier this year, in an effort to provide some advice on new bloggers who often cease operation after a short while, I got a snarling response from another writer, who suggested that there are too many incompetents writing as it is (myself among them) and more should not be encouraged. I simply don’t understand this attitude. 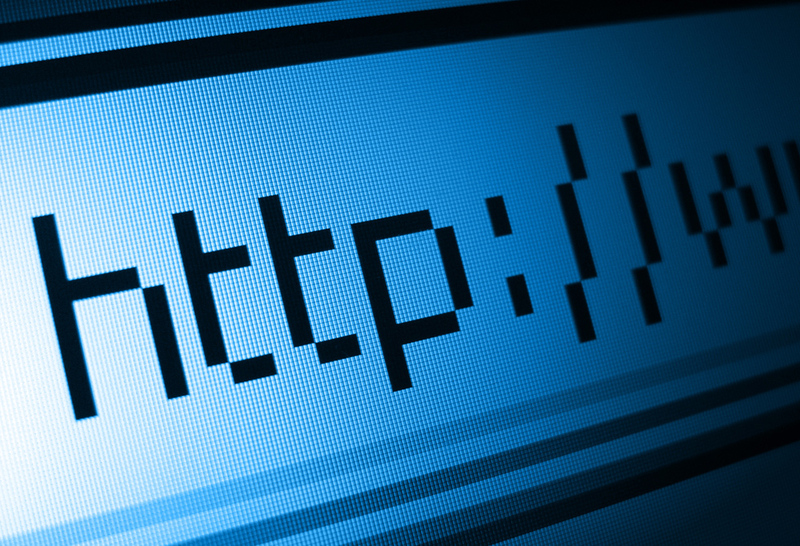 It originates from persons who themselves write a lot, opiniate even more, and have a large body of words on their sites (which obviously pass muster by their own definitions of “qualified”), yet they seem to feel that almost all other websites, discussions, opinions and reviews, are a waste of internet space. I can sort of understand Sir Scrotimus Maximus in Retirement Land, since he despises everyone (and spews a vomitus of condescending and negative opinions just about every day), but Mr. Hamilton, for whom I have a great deal of respect, is a more puzzling enigma. Especially given his well-known dedication to rum, and the oft expressed moan abut rum not having enough visibility and fighting an uphill battle against other more established tipples. To make my own position clear: I myself have nothing but distaste for short, ignorant, non-knowledgable click-bait written by writers for online spirits magazines (see here, here, here, here and here for some examples). Too often they display an abysmal ignorance of rums in general, and make lists of rums that would be amusing if they weren’t so uninspiring. But I don’t think this is what Sir Scrotimus or Mr. Hamilton were referring to. Nor do I believe that they are talking about news stories. Or cocktail sites and writers for them. No, when they refer to monkey mutterings and blogs, they are talking about reviewers. And since I’m one of them, I think I’ll take up cudgels on behalf of myself and others in my field. To begin with, who qualifies as a “good” writer? For my money, this would be someone who writes with prose that engages the reader; who has a good understanding of the industry; who crafts decent tasting notes on the rums that are tried; expresses an informed opinion; has a body of rums to refer to, and self-evidently is involved in not only increasing his own knowledge but that of his readers. Are there truly none of such writers around? Sure there are. Henrik from Denmark keeps getting better all the time and that’s in his second language; Marco Freyr from Barrel Aged Mind in Germany is a historian par excellence with enormously detailed articles on the rums he tries; Josh Miller of Inuakena writes well, tastes well and goes far afield whenever it pleases him; Cyril from duRhum fills in with great reviews of more obscure fare, especially agricoles; Steve James of Rum Diaries writes great reviews in depth; The Fat Rum Pirate writes accessible notes for the common man with lots of opinions and off-hand facts, primarily for the UK crowd, and lovingly tends to the low-end and mid-range. I enjoy Laurent’s work on Les Rhums de l’homme à la Poussette. Dave Russell of the Rum Gallery is a long running stalwart, and while Chip and I happily trade emails back and forth about our differences in opinion, the man does put out a welter of rum reviews that North Americans in particular take seriously. Why do we need more of such people? Because, dear reader, there still aren’t enough. Not really. Excluding cocktail blogs which speak to rum as a secondary enterprise, there are less than twenty focused rum reviewing sites in the whole world. I can’t think of many which are run on a commercial basis. And yet we constantly complain about rum taking second place to whisky in the minds of the tippling class, not having exposure, people not “getting” the variety it represents. Well, having more writers who raise the profile would therefore be a good thing, wouldn’t it? It is online writers like Johnny, Cyril, Dave and Wes who are spearheading the fight against improper labeling, undisclosed sugar and additives and outright deceptive marketing practices. Would less reviewers have the same effect? Not at all. Because then we’d just be left with the polarizing negativisms of Sir Scrotimus. We also need more writers because they are the ones who call attention to the rums of the world in a time of declining advertising budgets and quality magazine writing about rums. 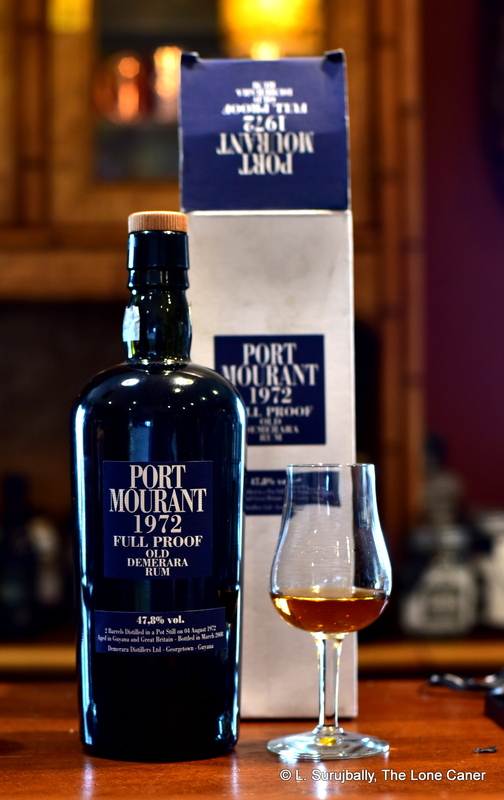 Yes there’s the RumPorter, and yes there’s Got Rum…but there are scores of such publications on whisky or wine, so we’re supposed to be happy with a mere handful on our tipple of choice? Hell no. We need dozens, not just a couple. Reviewers, bloggers and online writers fill this void. You can disagree with what they write, but at least they’re out there providing information. Why would having fewer somehow be seen as better? Even assuming the statements of these two gentlemen were correct (and I dispute that) they both ignore the obvious question: where are the “qualified writers,” if the ones I mentioned above aren’t representative? No please, educate me. Who are they? For whom do they write? What are their blogs? Are they active and engaged in the rumworld? Are they the few book authors who exist? To toss out generalized comments about the chattering underclass who supposedly don’t know what they’re doing seems grossly unfair to me, without listing them and their opposite numbers who are worth reading. If you are going to use your platform to diss someone, by all means provide a list of those who do fit your personal criteria. More than two, please, and in the same post as your takedown, not elsewhere on your site. Negatives are one thing, but if you have no positives to contribute then your argument lacks substance. More, there’s a puritan ethos of understated censorship wafting through those two comments I find disturbing…y’know, Write what I like, or you’re an idiot. I think that part of the issue is that such qualified reviewers are somehow expected to spring to life overnight like Athena from Zeus’s brow, and wow us with their Kiplingesque prose, incredible depth of knowledge and scintillating wit, right out of the gate. But in a world where nobody (well, almost nobody) gets paid for writing about rum – and to my mind the greater proportion of rum writers write for love, not money – I think it says a lot for the dedication and devotion of rum aficionados who are also reviewers that they do as much as they do for free. This is somehow a bad thing? So it’s my considered opinion that the two comments above do the writing community a disservice. Yes there is an unmet need for more writers who provide their own perspective and writing style and knowledge. Yes we could use some more professional authors who do more than just blog about cocktails and the tiki culture. We could have more reference materials and other information out there that raises the bar for the expected knowledge of a rum blogger. 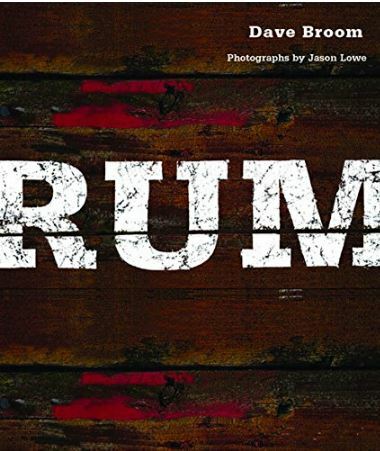 We need that kind of talent for those who write about rums specifically, not as an afterthought or a sideshow. And the reviewers and bloggers that are so casually dismissed, are the ones that provide, as best they can, this level of commitment and growing expertise. Because nobody else is. In summary, it’s a shame that opinion makers and commentators like these two, instead of trying to raise the bar with mentorship and good advice for the new blood and existing writers, resort to such unfortunate takedowns. But you know, Mr. Hamilton called it right: he doesn’t read those he doesn’t like. Maybe there’s a word of wisdom for us all in that. If you’ve made it to fifty or more reviews, passed a year of writing, then it’s reasonable to assume this is no longer a mere hobby, but something a shade more serious. Still, as time and rums pass by, interest flags and it’s perhaps no longer as much fun as it used to be…more like work. God, do I have to do another one of these? Been dere, dun dat. The more you write and the more you are active online, the more hits come your way. Of course, this presupposes some level of quality in your work, and a network of contacts who recommend your site and people who share taste, and your way of expressing it. The CocktailWonk suggested finding one’s niche in an increasingly crowded writers’ market, which is a good idea – writing in a way, and about subjects, which no-one else is. However, never underestimate the power of online “boosting” either. Now, if your perspective is one of “If I build it they will come” and you’re writing to speak of your experiences, your journey, without reference to how many others see what you’ve done…then letting your site sit there, idling gently, building word of mouth, is just as good as any other. Online promotion is for people who can’t wait, are impatient to get visibility, and understand the hits multiplier that social networks enable. When you put something up, distribute and share on twitter, G+, post on the Rum forum on reddit, use Facebook to like and share, post to StumbleUpon, LinkedIn, Tumblr…these things can – in the short term at least – double and triple your site hits. The flip side is some people will inevitably see it as crass, whatever that means given the reputation of the drink we’re discussing. Really, this is irrelevant. People comment when they feel like. You can certainly try to be controversial, write opinion pieces seeking engagement, create a forum for comments like the Ministry of Rum or the RumProject, be active on the FB fora, but here again, it simply takes time to get the volume. Good point. It is pricey. Go cheaper and build “review volume”, and remember this – you will never be able to taste them all, and there will always be an old monster you really wanted that will never be yours. At the forefront, keep in mind why you are here – if your goals have changed and this is not worth the cash, shutter the house and walk away. As a balm, I also refer you to my rather humorous take on affording your favourite tipple, which I name the “El Dorado Problem”, here. It can be done if you ration your time appropriately. And of course, if your commitment and persistence is there. Just for the record: I have a full time job in a foreign country; a family that has demands on my time; other interests and hobbies; a social life (such as it is); I’m studying for a professional accreditation; I’m learning another language. I balance all this with my writing. If a lazy sod like me can do all this, there should be no reason why you can’t. This is your job to fix. Consider yourself a rum ambassador. Spread the gospel. Those that don’t like rums are sadly misguided lambs in need of a shepherd to lead them to the cool green grass of the True Faith. 1. Attend as many tastings or festivals as you can, and then write about them. Hell, run your own. At the very least you will meet people and get tasting notes for expensive rums you might not otherwise be able to afford or find. 2. Read the blogs from around the world; European ones often speak to rare and very old craft rums about which we can only dream. Google translate does a decent job for those who are not multi-lingual, which is most of us. 3. Comment on others’ blogs (but really, do this if you have something to say, not just because you want to generate hits for yourself), join the Facebook page, start your own…make friends, even if only online. 4. 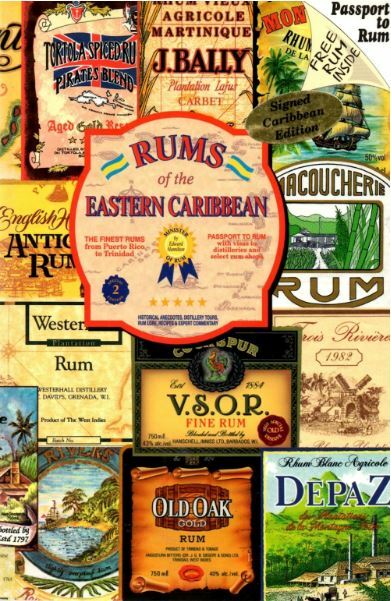 Send and/or share samples on your own cognizance, of rums which you have that others might not. 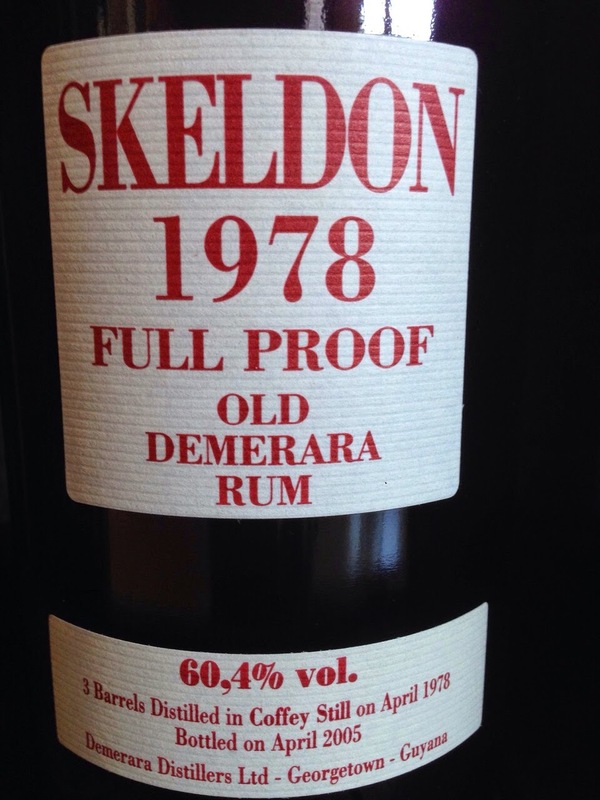 I’ve given away more than half of the Skeldon 1973, for example, and my PM 1980 is long gone down the gullets of the Liquorature Collective, including (to my utter delight) the Rum-despising Maltmonster and his Hippie acolyte. 5. Start a rum club of your own with like minded souls. I’ve been doing this since 2009, and my interest is maintained by new rums, new friends, correspondents, festivals, and being part of something I feel is of worth. I find that staying in touch generates reciprocal goodwill and increases my engagement with the larger community. And the writing, of course, keeps me busy too. At the end, it comes down to you and what you are prepared to do, and how seriously, or long term, you view the activity. Like any long term endeavour, you should love what you do, know what you’re about, take pride in it, and be professional. 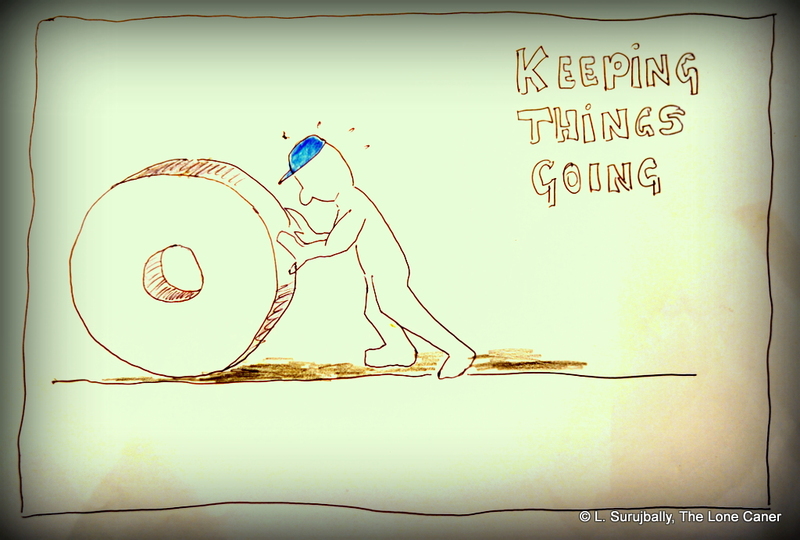 Have a sense of humour about it all, and keep the wheels turning. It can, with some effort, be a pastime or vocation that stretches into decades. Hopefully these comments will give a sense of what it takes to remain that way. Henrik Kristoffersen of RumCorner for massive investment of time and effort to comment and make this better. I stole some of his remarks. Josh Miller of Inuakena for a read through and encouragement. All the online rum writers who over the years have candidly discussed their experiences with running a blog. The Little ‘Caner, nine-year-old scion of Clan ‘Caner, who helped me with the cartoons, lent me his pencils (“Colour inside the lines, Dad!”); and the beautiful, long-suffering Mrs. Caner, who loves me still, even if I spend too many evenings writing stuff like this. In conceptual and generalized terms, this series has so far covered the startup philosophy, the website and postings, and added pointers on sampling and reviewing. Today I move into more familiar territory. I have a feeling quite a few people were waiting for this post. Alas, no, this isn’t entirely what you thought it would be, because making such a list is a tricky, even controversial, subject to opinions varying as widely as the Pacific. 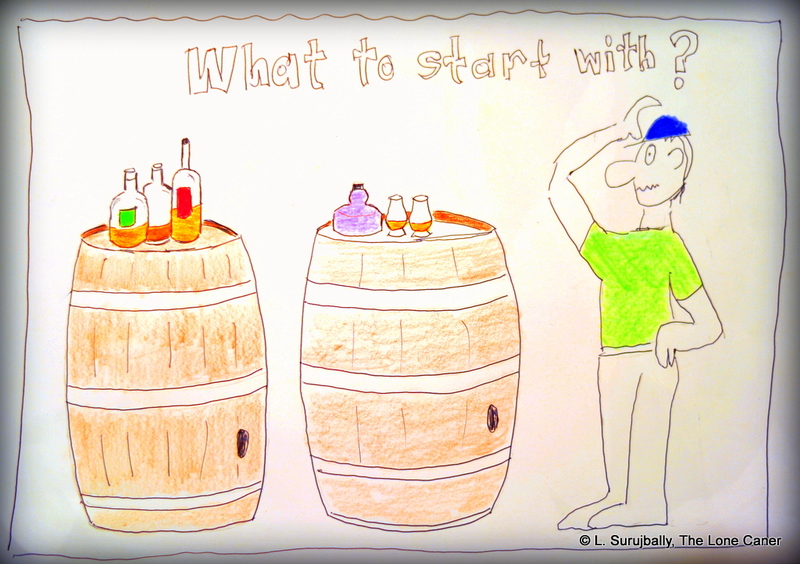 I’d suggest that you begin with what’s available to you easily and at a relatively low cost – those that open a new site not unnaturally tend to begin with what’s already in the cabinet, for example, and it seems that one really great rum is usually what kickstarts the inspiration process. 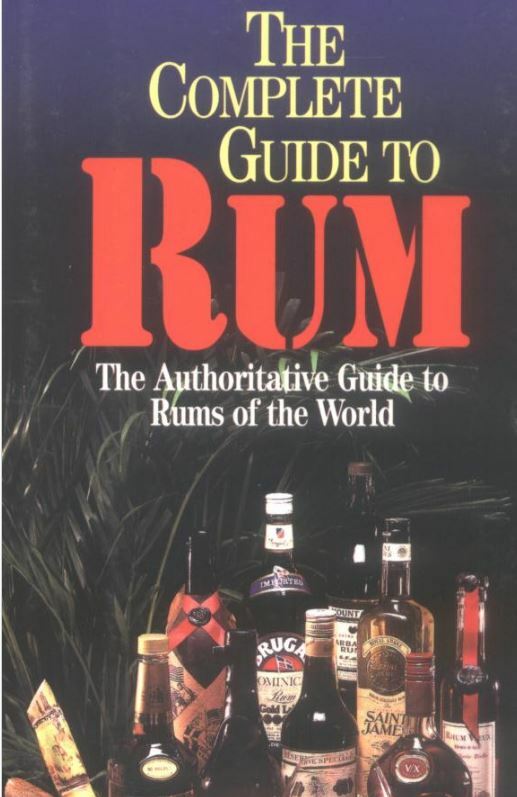 Now yes, this will relegate you to reviewing the old standby rums everyone knows about and which have been written on by many before you…but it also provides you with a solid base from which to start, good writing experience, and a sense of the their relative characteristics, one to the other. More, if you begin from the low end then you’ll appreciate better, older rums more as and when they cross your path – you have a good basis for comparison. 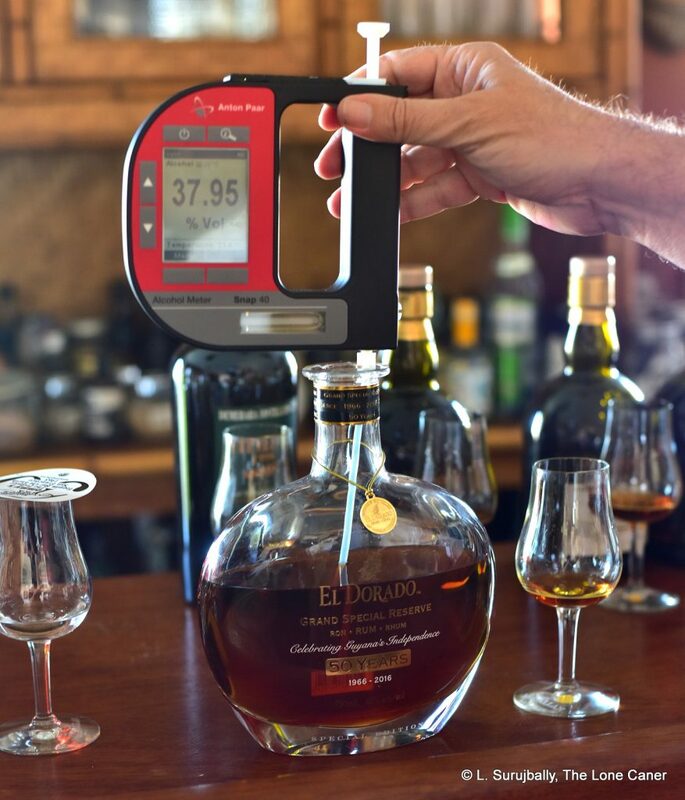 And you can calibrate better – by seeing what others have written on the same rum, you see what you may have missed (or what they have), and gain additional perspective and confidence. 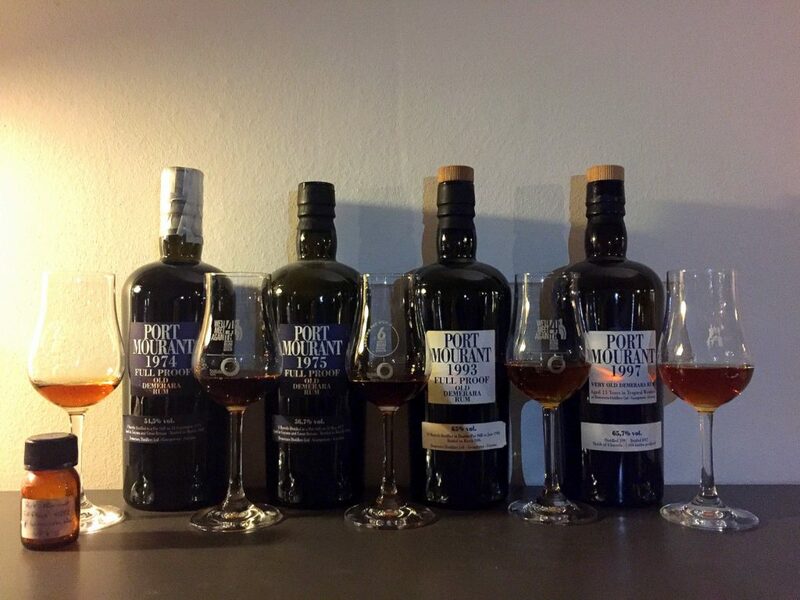 It helps even more with rare or limited editions that have no precedent: try finding reviews of the SMWS rum bottlings, for example…what on earth can they reasonably be compared to, if you have ‘em right off the bat? What this is about then, is getting a firm grounding in the core rums of the world and what they taste like, and how they differ: El Dorado, Flor de Cana, Appleton, Mount Gay, FourSquare, Havana Club, Bacardi (yes, Bacardi), Clemente, Abuelo, Goslings, Diplomatico, Barbancourt, St. James, as well as standard mixers like Lamb’s, Meyer’s, Trader Vic’s, and so on (this listing is merely illustrative). 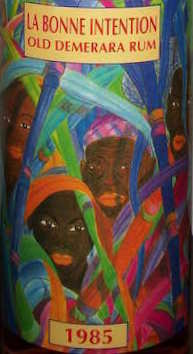 It also introduces you to the various styles upon which some place enormous emphasis – Demerara, Jamaican, Latin/Spanish/Cuban, Bajan, Agricoles and what have you (the FatRumPirate has a good section on his website devoted to this kind of stratification). If the subject and the act of reviewing is at all important to you, you kinda have to know this stuff. Rum 101, folks. You cannot be a reviewer with street cred, demanding respect, if you don’t have the basics down. I thought long and hard before deciding against providing detailed list of rums one could begin with because no matter how extensive, I’ll either leave something out, or include one that others disagree with; and have compromised by providing a list of companies making rums that are well known, mostly available, reasonably well-regarded (at least they’re not hated) and fairly representative. It’s up to you to decide what your palate and your wallet can stand, and which ones in the value chain to get. Non Caribbean rums from anywhere (Australia, Thailand, India, Phillipines, Fiji, etc), even if they may not strictly be rums according to general accepted convention. The constant arguments of what constitutes a “true” rum is unlikely to be solved anytime soon, so you should also understand why the Phillipine Tanduay, Czech Tuzemak or Thai Mekhong raise the blood pressure of the puritans. I tell all people asking me about what to begin with, to start the journey with one or two fantastic examples to show what rum can be, but then concentrate on writing initially about the low end of the market and work up. And I would strongly advise the prospective reviewer against going for, and writing about, the top end, oldest, most prestigious and/or most expensive rums right away, or those from independent bottlers who make rums that are often off the scale. Even if you can afford them or your friends press them upon you, put them away for analysis and review later. I know this sounds totally bat-bleep-crazy, but until you get your basics down and understand the rank and file of commercially available commonality, know your own tastes and how good sub-ten-year-olds can be, you will not be able to properly rate, appreciate or score a premium (or conversely, you may score it too enthusiastically). Worse, it will colour all your perceptions of the good and commonly available rums forever, and this will be reflected in your writing. Buying top-end aged rums from their makers, or sourcing quality hooch from outfits like Rum Nation, Cadenhead, AD Rattray, Samaroli, Silver Seal or Velier and skipping entry-level grog altogether, is something of a one-way bridge; in comparison, more affordable and younger offerings will seem less, when in fact they really aren’t, just different, and are often good markers of their styles. From my own experience, I can freely admit that I should never have bought the Appleton 30 so quickly; or, much as I have always loved it, the English Harbour 1981. In the first part of this series I discussed figuring out how to get your head around what to write, and followed that up in Part 2 with some general remarks on how to deal with your actual website postings. Today I continue in a similar vein about tasting, scoring and the conceptuals of a review. When I taste I scribble my initial notes immediately; then I have to retaste, usually with other rums in play as controls or comparators, then score. Then I have to turn the whole thing into a coherent essay, including research, background and photographs. The re-edits can sometimes take days. Then, and only then, do I post on this site. Some pointers that work for me and which I’d recommend – the list is not entirely for more casual bloggers, but who’s to say what’s useful and what’s not? As always, find your own method with which you’re comfortable. 1. I’m not going to go in depth on how to nose and taste, hold the glass, dip your beak, etc. The subject has been covered by many others before, and you’ll find a way that works for you. However, a good glass, not a tumbler, is recommended. I used to needle my friend Curt of ATW about pinching his daughter’s Barbie glass collection, but there’s no question that a good tasting glass is part of a reviewer’s arsenal for really getting into a rum’s profile. 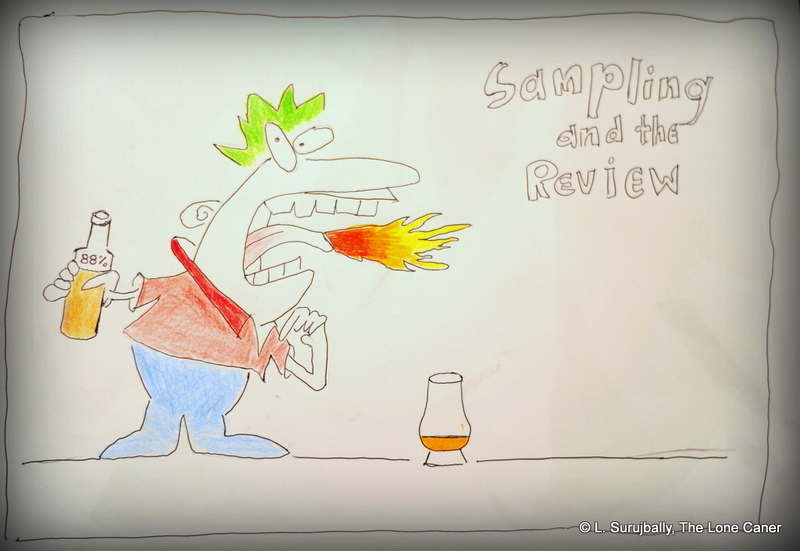 Sure you can use a whisky glass, plastic cup or tumbler, but remember: you’re a reviewer, not a backyard boozer gunnin’ ‘em down over the grill. It almost presupposes a slightly more structured approach to assessing a spirit. 2. Train yourself to know how to identify what you are tasting and smelling. (Practice in the kitchen, on the spouse’s spices, in open air markets, anywhere there’s a plethora of aromas to tease out of the air). Pay attention to your nose, because that’s where most of the taste comes from. 3. Sample blind if you can, and in conjunction with other rums that are your personal baselines for the type. In other words, have three or four glasses in front of you, but with different rums in them, including the current subject, and sample them together without knowing which is which. The point is to be as democratic and unbiased as possible. I usually ensure that the comparators – all previously reviewed and scored – are of similar styles, or ages. Because the first time you try a really top-tier highly-aged rum costing upwards of two hundred bucks, your enthusiasm can really cloud your judgement, and you may be tempted to give it a free pass just because it is what it is, if no controls are in place to temper your exuberance. 4. Do the occasional vertical tasting of an entire distillery’s line, if you can get them (and afford them); or try horizontally, as with taking five ten year olds and run them past each other. You don’t necessarily have to write about it – it does increase your experience and relative understanding, though, and there’s nothing at all bad about that. 5. 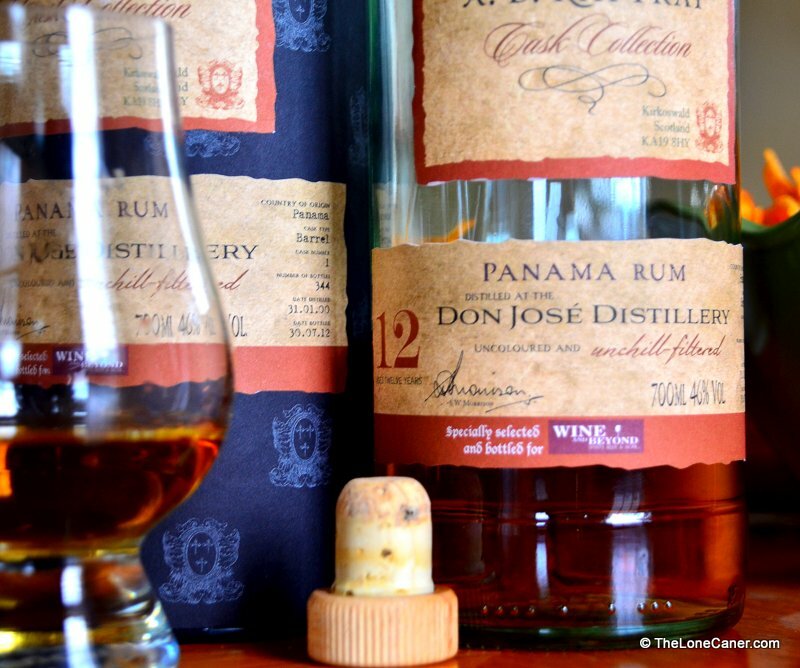 Have or develop a taste memory for rums of similar types and your scoring for them, so you can assess the current sample against such previous reviews. (Henrik from Denmark told me that he has a mental map of a control group of rums which he knows extremely well, and he uses those as reference points to do his scoring). 6. Learn and practice how to write quick notes (this works well in a public environment like shops or festivals, or perhaps your friends’ pads), and how to score on the fly, even if a little potted (be comforted, it gets easier). 7. 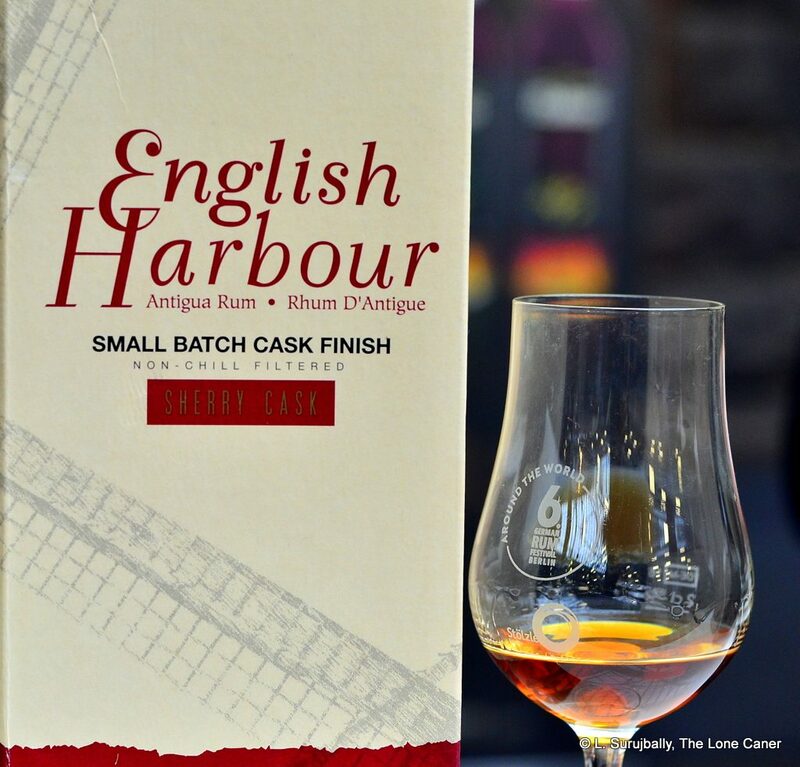 Every review should have, at a minimum, a description of the rum (name, type, age if known, country of origin, producing outfit, and proofage); words relating to colour, possibly viscosity (“legs”); nose, taste (with and without water added) and finish. 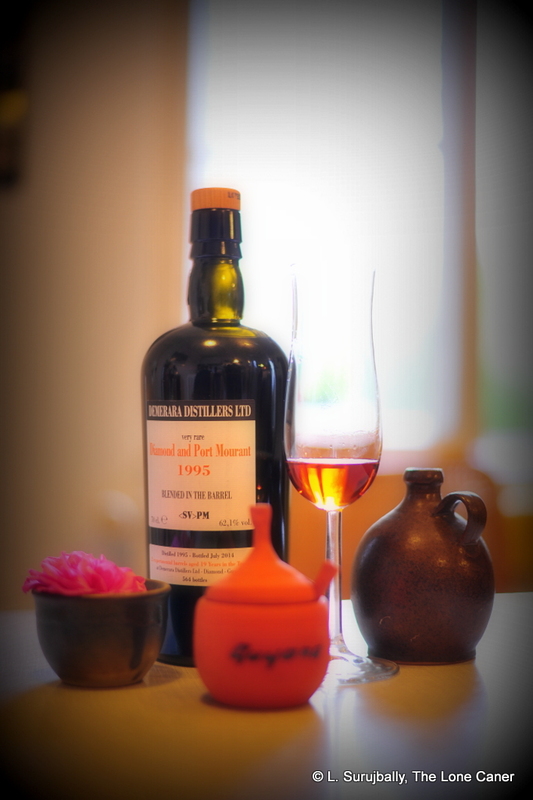 Anything after that is an optional extra – stuff such as if it has been added to, filtered, how it makes a cocktail, company bio, what other rums it reminded you of; comparisons, price, source (pot still, column still, cane juice, molasses) and so on. 8. As noted before, whether you write in clipped sentences, brief notes, stream-of-consciousness or lengthy prose is up to you. 9. Have a score sheet. This would list the things you feel need to be evaluated: nose, taste and finish are the three most common. Some add (and score) presentation, balance and/or overall enjoyment. (My sheet has additional space for comments and the notes on the actuality of what I’m sampling…as well as what I’m thinking while I do it. Every now and then I go back through my old notes, but I’m odd that way). 10. Score appropriately and consistently. Scoring is always an issue – many use a system which starts at fifty and goes to a hundred; others use a four star, or five-bottle or ten point system. Mind, I started with the naive idea I could avoid scoring altogether and let the narrative speak for the product. Yeah…but no. It’s really not a good idea to leave scores out. Sometimes that’s all people come to a review to see. 11. Jot down key words that occur as you try the latest subject. Try and isolate specific aromas and tastes, the way it feels on the tongue, or when you slug it down. How it changes as it sits for a while, after you add water, or an ice cube. Feel free to be as metaphoric as you wish – language should be pushed around a bit. Good writing in reviews is, I think, an undervalued art form, no matter how some people complain about excessive verbiage. (It’s also a personal belief of mine, unshared by many, that a review should say something about the author and his/her perspective on life, even express a philosophy, which is why I write the way I do). The easiest reviews to write, the ones that just flow without seeming effort, are the ones you are most enthused about, whether for superlative rums or really bad ones. This is because both your emotions and intellect are engaged and this makes for a better writing experience. I’ve always found the hardest reviews to be the ones that relate a rum that is mid range…nothing special. Only practice can take you beyond that hump, because most rums will indeed fall into this section of the bell-curve. 12. Do not be afraid to call a dog when you find one. Tasting is a subjective thing, true. 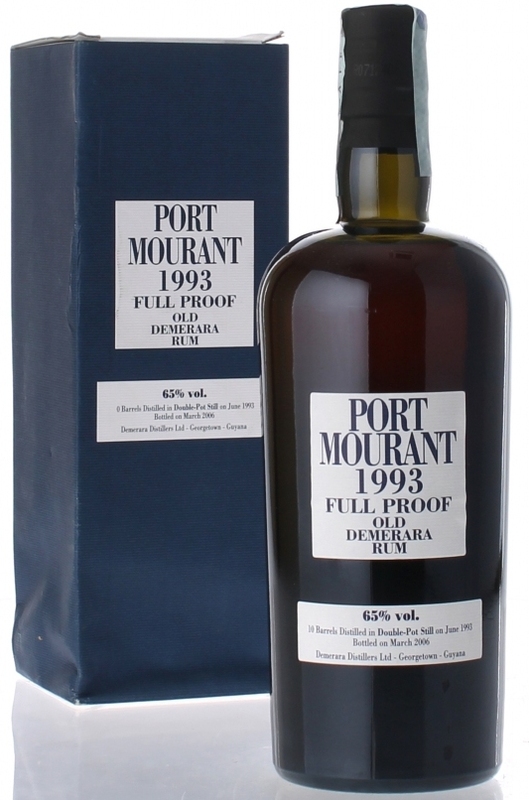 You tend to get a sense for the good or great rums, and as time goes on your personal palate will likely bend you to one profile more than others, something which should also be noted up front (I have a thing for Demeraras and higher-proofed rums, for example, and the RumProject has made no secret of its utter conviction that un-messed-with rums that are in the mid-age sweet-spot range are the only ones anyone should be drinking). But you will find bad ones too. We all do. When you’re reviewing something from a new outfit you really want to succeed, tasting a rum about which everyone else in the blogosphere spouts ecstatic hosannas and encomiums; when you’re writing about some aged and rare and expensive dream-rum, even a so-called “exemplar of the style” — then if you disagree and dislike it, it absolutely does not means that you have to go with the flow, or even waffle around with weasel-words. If you can take the time to describe why you love a rum, then the opposite holds true as well; you show respect to both the consumers and the makers when you can clearly explain why you think some well-advertised, supposedly well-made product, isn’t what it claims to be. Do not do the humble, self-deprecating cop-out of stating a dislike for a rum with the short comment about this being nothing more than an opinion, and “I’m-an-amateur-and-I-write-for-amateurs” – as if this somehow says all there needs to be said; if you have an opinion for good or ill, you must be able to argue your case. An uninformed opinion is worthless, and people who do more than just look at scores do actually want to know why you feel this way). 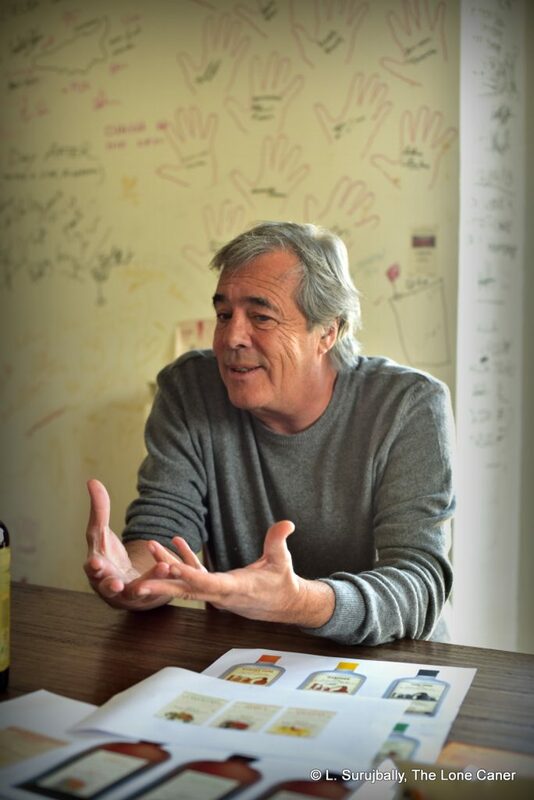 For four different styles of writing, compare the brutally minimalist ethic of Serge Valentin on WhiskyFun; the informative memoranda of Dave Russell on RumGallery; the utterly consistent verbiage and brevity of the RumHowler; and Barrel Aged Mind’s Deep Field of research. There’s a niche for everyone, depending on style. No one way will ever be correct, or please everyone.